Exercise can slim down our waistlines and boost our healthy heart but a research team from San Francisco State University found that apart from this, exercise can also boost the gut health. This pioneering study, published in the International Journal of Sport Nutrition and Exercise Metabolism, was conducted by Ryan Durk, an SF State graduate student and Jimmy Bagley, the Assistant Professor of Kinesiology in collaboration with the SF State Health Equity Research (HER) Lab. In order to judge the overall gut health, the research team investigated the ratio of Firmicutes and Bacteroides, two separate bacteria groups that help determine gut-health. They found that participants of the study with excellent cardiovascular fitness had a higher ration of Firmicutes to Bacteroides. Durk said, "These metabolic byproducts help strengthen the intestinal lining and help prevent leaky gut syndrome." Ryan Durk further added, "When we say the phrase, ‘exercise as medicine’, we think of it as meaning that exercise will help people stay healthier and live longer. But you don't think about your gut bacteria; we now know that exercise is crucial for increasing beneficial bacteria in the gut." 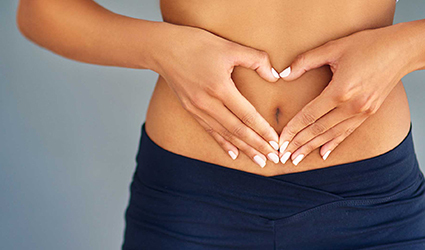 Durk claimed that these study findings about the gut microbiome could formulate personalized exercise prescriptions towards better health conditions. "We're not there yet; but this helps create that foundation." was the statement from Durk.